We have been designing and installing beautiful, high quality, state of the art fireplaces and outdoor kitchens for over 37 years. We love our work and it shows with every installation we do. Our goal is to meet or exceed every single customer’s expectations. We strive to create long-term satisfied clients by providing outstanding quality service before, during, and after the sale. We provide expert installation from our experienced staff in addition to our premier product line. We use only the best equipment, from the best manufacturers and we take great pride in the quality of our craftsmanship. We would love to discuss our line of products and our very affordable prices, so give us a call today! 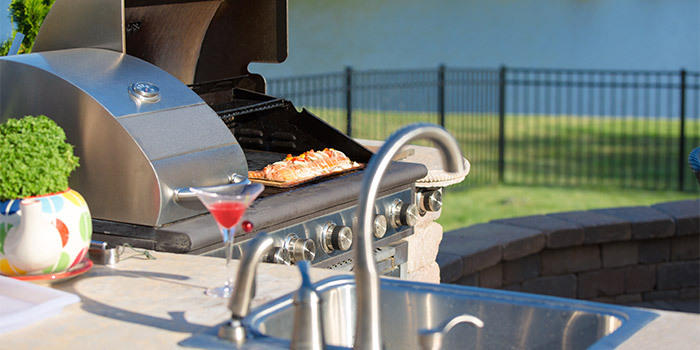 FlameTech Fireplace & Grill Co. strives to create satisfied clients by providing excellent service. We provide expert installation from our experienced staff in addition to our premier product line. Our goal is to meet or exceed our customers expectations. FlameTech Fireplace & Grill Co. has provided Central Florida with 37 years of quality workmanship. We provide internet and email components for our operation in order to provide our customers with a modern way to do business. Our distinguished catalog of products features premier goods from a variety of your favorite brands. Our consulting services provide our clients the ability to utilize the various offerings.